Whenever Iraq runs into trouble people start talking about it being an artificial state. The argument goes that the European powers after World War I divided up the Middle East into spheres of influence with the Sykes-Picot treaty, which ignored local interests causing the present day problems in Iraq and the region. This is an ahistorical argument as Sykes-Picot did not create the modern borders. 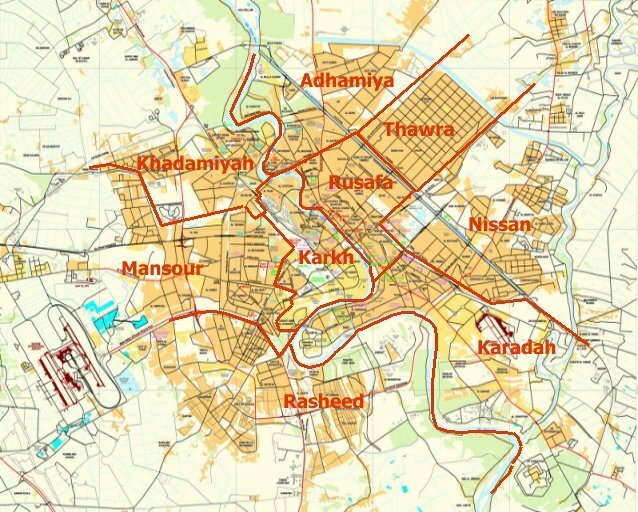 Princeton’s Sara Pursley dissected this history in a two part series for Jadaliyya entitled “Lines Drawn on an Empty Map: Iraq’s Borders and the Legend of the Artificial State.” This is an interview with Pursley to discuss how exactly Iraq’s borders were determined, and how that has been interpreted. 1. After the fall of Mosul the Islamic State talked about ending the 1916 Skyes-Picot agreement with many western commentators agreeing with them. This deal was made between the French and English after World War I to create spheres of influence in the Middle East. 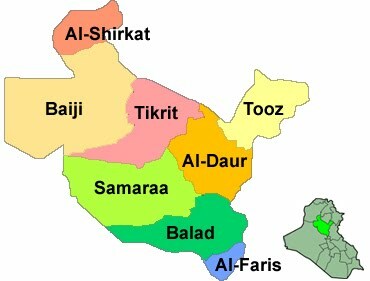 Many point to that as the creation of the modern borders of Iraq and other countries in the region. You dispute that story. What exactly did Sykes –Picot look like? Well, what it doesn’t really look like is the present-day map of the Middle East. I’m not going to describe all those differences, because I do so in the article but also because anyone can look at the two maps and see they don’t have all that much in common, especially once you subtract the existing Ottoman international borders. That is actually what spurred me to write the article—I became interested in the fact that so many people continue to display this map—the Sykes-Picot map—as if it actually serves to illustrate the claims they are making. But it doesn’t illustrate those claims very well at all. Many people have pointed this out—I’m hardly the first—which just makes the persistence of the narrative all the more interesting. As for the claims of the Islamic State, they are pretty interesting too, since the boundaries of the region currently under its control look more like the Sykes-Picot map than does the internationally recognized border between Iraq and Syria. 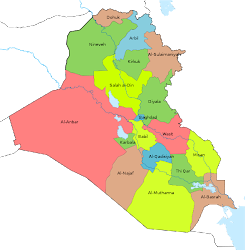 Sykes-Picot joined Mosul and the surrounding region with northern Syria, which is by far the most significant thing the Islamic State claims to have done, in terms of both population density and natural resources. But I’m not just contesting the Sykes-Picot narrative. I’m contesting all the narratives that say Iraq’s borders were “drawn” by Europeans in the years around World War I, whether they locate that moment in Sykes Picot, or the Paris Peace Conference, or San Remo, or the Cairo Conference. These last three tend to be more popular with scholars and Iraq experts, who often know that Sykes-Picot doesn’t really work. But actually none of them work. The supposed map the Europeans drew of the Middle East—it doesn’t exist. Iraq’s borders were created like most nation-state borders have been created, through a drawn-out of process of resolving competing claims to territory through war, diplomacy, and other uses of power. It took many years and involved many actors. To begin with, a border requires mutual recognition of the authorities on both sides—that’s what a border is. You can’t just create one by yourself. 2. The artificial state argument ignores local agency and history. That starts with the Ottomans who ruled for centuries over the area that would become Iraq. How did that empire shape the modern borders of Iraq? Well, that’s another strange thing about the artificial-state narrative. One of the standard accounts is that the British “carved” the borders of modern Iraq out of the Ottoman provinces of Basra, Baghdad, and Mosul, a statement that doesn’t even make much sense to me. 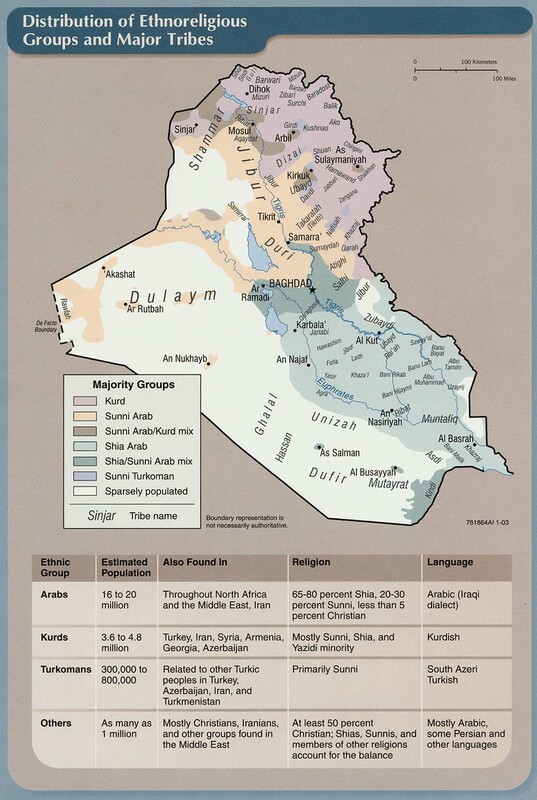 A geographical area loosely centered around Baghdad has been referred to as “Iraq” for many centuries by Arabic speakers—even before the Ottoman Empire, in fact. So the Ottomans called this region “Arab Iraq”—it is on their maps, one of which I show in the article. 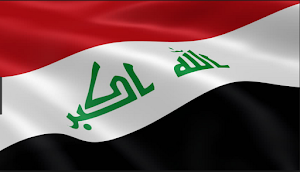 But I want to stress that my argument is not that Iraq has some kind of primordial identity. This has been sort of a Catch-22 of the artificial-state argument, or rather of those who want to criticize it. 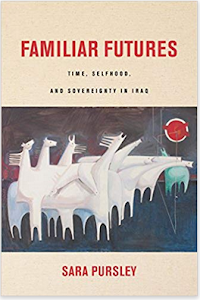 In order to oppose it, many have felt the need to show how Iraq stretches back hundreds of years, and then those people get accused of some kind of naïve nationalist essentialism. I think we need to look at how “Iraq” has been understood in different time periods, and how that understanding has changed from one time period to the other, rather than just pointing out that the way it is understood now is not the way it was understood in the 19th century, as if the mere fact that something has changed is sufficient reason to ignore its history. 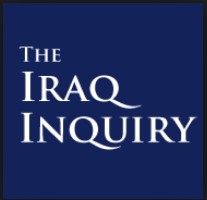 Historians wouldn’t have much to do if that was their approach to everything, and yet many of them have gotten away with it when talking about Iraq. But to get back to the Ottomans. At the time of the Sykes-Picot correspondence in 1916, in the middle of World War I, British troops were already in military occupation of the Ottoman province of Basra and were battling Ottoman forces for control of Baghdad. 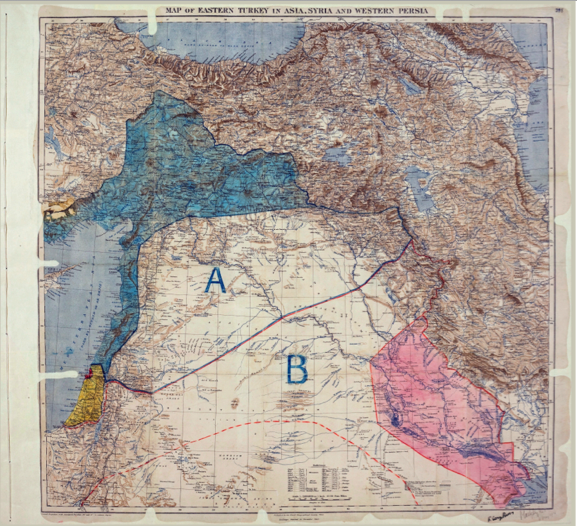 On the Sykes-Picot map, it is these two provinces that are designated to be under direct British control, assuming an Allied victory in the war of course. In other words, for the British-ruled area, the Sykes-Picot map simply showed the military realities and aims on the ground. And that area corresponded quite closely to the Ottoman map, since the British occupation forces preserved much of the Ottoman administrative structure in order to govern and tax the people of the occupied territories. 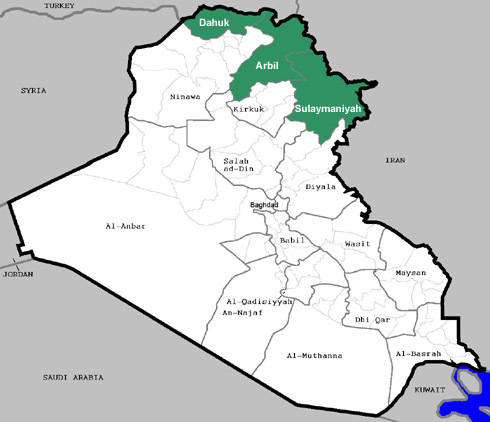 This region is labeled “Irak Arabi”—the Ottoman term for “Arab Iraq”—on the earliest Sykes-Picot maps, because those maps were derived directly from the Ottoman map. So why start with story with Sykes-Picot? If we insist on starting the story with Europeans, we should start with the British military occupation of Ottoman Iraq, not with a drawing that merely illustrated that event. It was a very violent occupation, by the way, a fact that is not included in most narratives of the formation of modern Iraq. I suspect that this is one of the appeals of the focus on maps and borders, even by people who clearly aren’t actually very interested in where the borders are. The focus on the map helps distract attention from the violence of the British occupation of Ottoman Iraq. 3. After World War I the Ottoman Empire collapsed and there was a Turkish war of independence. That affected Iraq as the Turks claimed what was then known as the Mosul province as theirs. How did that lead to the Iraq-Turkey border? Britain occupied Mosul four days after the signing of the Armistrice of Mudros in 1918, i.e., when it was not at war with the Ottoman Empire. Since the occupation was in violation of international law, both the Ottoman and the later Turkish states refused to recognize its legal validity and thus Mosul’s incorporation into Iraq. Ultimately it was the League of Nations that decided to join Mosul to Iraq, after an eight-year struggle, with Turkey on one side and Britain and Iraq on the other. 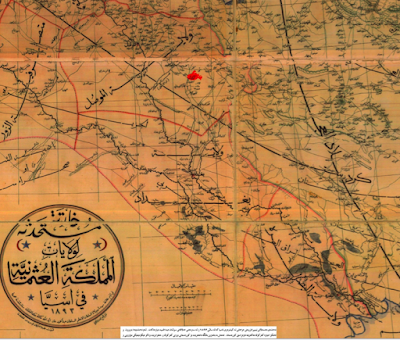 It was only in 1926 that that decision was made and the Iraq-Turkey border was fixed. So the Turkish War of Independence did not succeed in recuperating Mosul. But it did affect Iraq’s northern border, and the map of the Middle East more broadly, because the Kemalists succeeded in nullifying the 1920 Treaty of Sevres, which had expanded both the British- and French-influenced territories well into present-day Turkey. Those areas were reclaimed when the Kemalists defeated the Allies in the Turkish War of Independence, thus pushing Turkey’s border south again. My point here was simply that some of the maps and agreements of these years get remembered and some don’t in claims that “Europeans drew the borders of the modern Middle East.” The Treaty of Sevres has been generally forgotten in the story, because it is a case in which the Europeans failed to get what they wanted and the borders were imposed on them rather than by them. If the Kemalists had been defeated, Middle Eastern borders would look very different today, but we’d probably still be hearing that Europeans drew them—at Sevres. 4. The border with Saudi Arabia was also disputed for several years. How was that finally set? Through war. The border was moved northward from where various British plans had it, including Sykes-Picot, due to the military expansion of Abdulazziz Ibn Saud of Najd during these years. 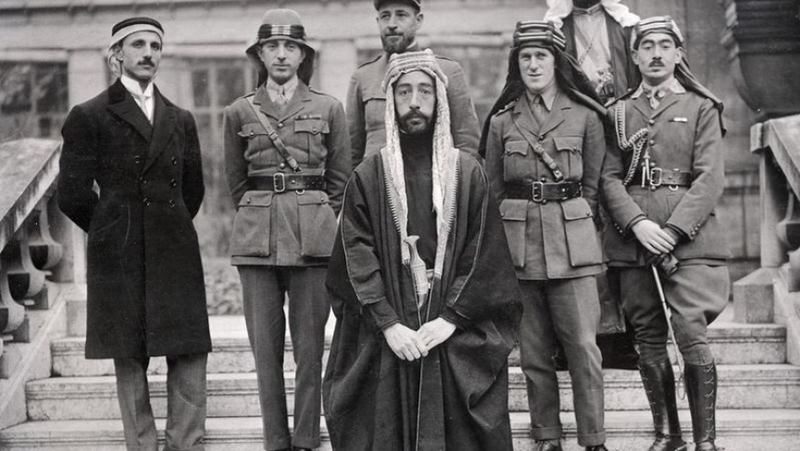 In a number of treaties with Ibn Saud from 1920-27, the British acknowledged his ongoing military conquests, and thus a number of contractions of their envisioned territories. In 1927 they finally waged an air offensive into Najdi territory to stop any further northward expansion of the Saudi state. The British line in the sand was its commitment not to lose what remained of the corridor linking its Iraq and Transjordan mandates, which they felt had already been dangerously narrowed by Ibn Saud’s recent conquests. So this is a good example of how the British did not get everything they wanted, but when they were willing and able to put the full strength of their air force behind something, they could often get it. The point is also, again, that this border was not an arbitrary line on an empty map drawn in Europe, but the outcome of a drawn-out process of resolving competing claims to territory on the ground, in this and many other cases through war. It’s how most nation-state borders have been formed. 5. The line between Iraq and Syria was not set until 1932. How did that come about? Well, the southern part of was set earlier, effectively by 1920. The Ottoman province of Dayr Zur, which is now in Syria, went back and forth several times at the end of the war between the control of the Arab army occupying Syria and the British army occupying Iraq. Each switch was sparked by the actions of local residents, who first requested occupation by the Arab army, then by the British, and then again by the Arab army. In the end, the province ended up in Syria because Iraqi nationalists serving in the Arab army in Syria wanted to use it as a base for launching attacks from Syria on British occupation forces in Iraq, so they took the province back from the British. And from there they did in fact launch attacks on the British in Iraq, helping to spark the nation-wide 1920 Iraqi revolt against the British occupation. So the irony is that it was local Iraqi nationalists who were ultimately responsible for the inclusion of Dayr Zur within Syria. The fact that this part of the Iraq-Syria border happens to correspond with a Sykes-Picot line was thus basically a historical accident. Both local residents and regional nationalists had at least as much, if not more, to do with it than Sykes and Picot. The northern part of the Iraq-Syria border was determined later, since not much could be done about it before the fate of Mosul was decided. When that happened, in 1926, an Iraq-Syria dispute over the border commenced; it was not resolved until 1932, the year Iraq became formally independent and joined the League of Nations. 6. You didn’t talk about it in our articles but there were similar border disputes with Iran and Kuwait. 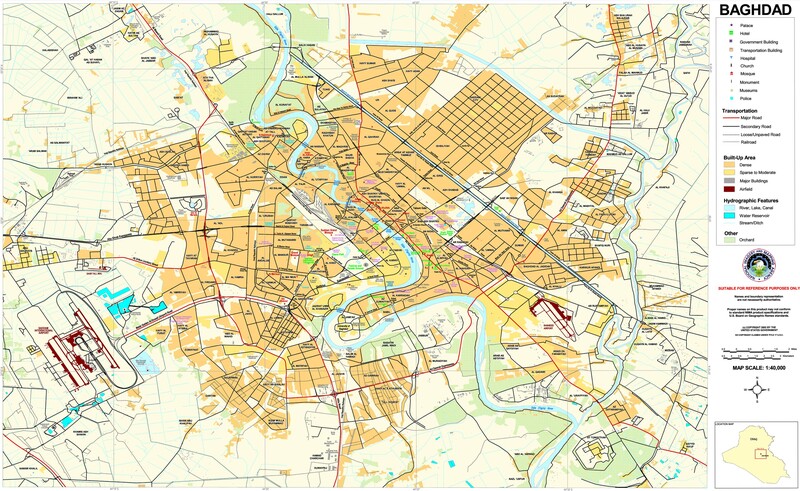 Do you know the history behind those demarcations? Well, the border with Iran is the only one that was a defined international border before World War I, so you’d think it would have been the most stable after the war. That turned out not to be the case. The areas being disputed were not geographically as large as those at issue in Iraq’s disputes with Syria, Najd, and Turkey, but they were very strategically and economically significant, especially in the south along the Shatt al-`Arab and the islands of the Persian Gulf. These conflicts continued through most of the 20th century, and in fact were the at least ostensible cause of the Iran-Iraq War from 1980-88, in which around a million people were killed. Border-fixing is not usually a very pretty process, a fact that might be remembered by those who advocate the “re-drawing” of Middle Eastern borders. And by the way, having a fairly dominant ethnosectarian majority, as is the case with Iran, does not ensure that a country’s borders will be more stable. That is probably the most problematic, and dangerous, assumption of most artificial-state narratives. As for Kuwait, since it had originally been part of the Basra province of the Ottoman Empire, all Iraqi governments from 1921 up to Saddam Hussein considered its separation from Iraq to be illegimate. The government finally recognized the border in 1991, when it was forced to do so after the U.S. bombing. Again, not usually a very pretty process. 7. Finally, why do you think the Sykes-Picot argument remains so popular? First, it lets the story begin with the arrival of Europeans on the scene, which is how the history of the rest of the world is often told. And it does so, as I’ve mentioned, while simultaneously ignoring the violence of the British occupation of Ottoman Iraq during World War I. Second, the artificial-state narrative more broadly—I’m not just referring to the Sykes-Picot strand of it—is a useful argument for champions of the U.S. invasions of 1991 and especially 2003. As I say in the article, what harm had been done in destroying a country that never authentically existed anyway? The narrative was not so prominent in the West in the 1980s, and you don’t hear people today going on and on about the artificiality of Jordan, or Kuwait, though their creation was at least as “artificial” as that of Iraq and probably more so. Third, and relatedly, it makes it easy to explain all conflicts in Iraq today with a single, ready-made narrative. When racial conflicts erupt in the US, nobody thinks to explain them by way of a failure of borders. But that is the first thing many reach for to explain conflicts in Iraq. So it’s convenient that way. And finally, it appeals to those who like to imagine that ethnosectarian homogeneity is the foundation of stable states in the Middle East. That fantasy depends on ignoring the inevitable implications of attempts to produce ethnosectarian homogeneity, namely ethnic cleansing. That is what the Islamic State should be teaching us. These attempts always fail, by the way; no modern nation-state has achieved ethnosectarian homogeneity, even those that have tried through extremely violent means. And life does not usually get better for minorities when they become even smaller minorities, assuming they survive the original project. So people should be careful what they advocate. Actually, my main argument in Part 1 of the article is that the logic of the artificial-state narrative is the logic of ethnic cleansing. I should maybe clarify that I’m not referring to the Kurdish independence movement. When people living in a particular region find it unbearable to live under the state they are living under, and Iraqi Kurds have some good reasons to feel that way, they may fight for a separate state, and if they find the strength and the resources they may succeed. If the Kurds who are fighting for that succeed, I hope they do not strive for ethnic homogeneity within that state, and I hope the struggles over the natural resources of the area do not cause too much additional suffering. For me, this story is a tragedy with particular historical roots. I certainly don’t see it as the inevitable outcome of people of different ethnicities living within the same borders. In any case, the point is that an indigeneous nationalist movement with a very long history demanding an independent state is a different thing from Americans imagining that, for example, separate states for Sunnis and Shi`a in Iraq would be a good idea just because we think that would make for less “artificial” and more stable states. It is a very bad idea.